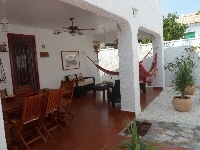 VILLAS AND APARTMENTS TO RENT ON THE COSTA BLANCA, SPAIN. 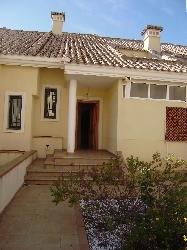 Welcome to our selection of holiday homes to rent in Costa Blanca, Spain. The Costa Blanca provides the holidaymaker with a wide variety of destinations from Denia in the north to Torrevieja in the South. In the north Denia has a port and marina and has a ferry service to Mallorca and Ibiza. Further south the Penon de Ifach is a large rock jutting into the sea at Calpe with wide sandy beaches either side. Benidorm is the largest resort on the Costa Blanca and has numerous restaurants, cafes, shops and bars for the tourist. Alicante is the major city in the area and is also the main airport serving the Costa Blanca. Towards the South the Torrevieja area is known for it's fine beaches and has all the facilities tourists expect. Looking for self catering holiday accommodation in Costa Blanca? Then below is a selection of apartments in Costa Blanca and villas in Costa Blanca that can be rented direct from their owners. You can either click on each listing for further details or you can use our search engine on the left if you are looking for something in particular.